Ministers must deliver on a manifesto pledge for a 25-year plan to boost nature and cut the costs of environmental damage, it has been urged. 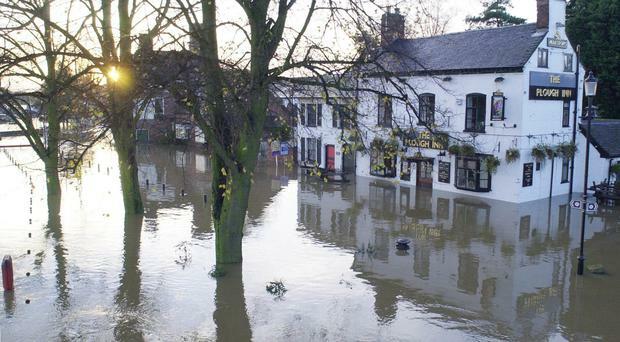 Harm caused by floods, air pollution, water pollution and chemicals in the atmosphere are adding billions of pounds a year to bills, insurance premiums and costs for businesses, farms and households, environmentalists warn. But after the Brexit vote, there is uncertainty whether environmental protections provided by the European Union will be maintained. And the promised 25-year plan for the environment has been delayed, the Wildfowl and Wetlands Trust (WWT) said. Air pollution costs the UK an estimated £15-20 billion a year, flood damage £1.4 billion, water pollution can add up to 17% on consumer bills, £129 million is spent cleaning farm run-off from water supplies and farmers incur an extra £180 million in growing costs a year due to chemicals in the air. But efforts to protect nature would deliver significant economic and social benefits, a report by WWT said. For example, creating 100,000 hectares of new wetlands from restoring upland peat and coastal salt marshes to creating "pocket ponds" in cities could reduce flooding, purify water, save money and improve mental health. The report urges the Government to deliver on the 25-year plan, and to make itself accountable to Parliament by producing an annual budget statement on the value of nature alongside the value of the economy. Ministers should also ensure UK environmental protection is as strong or stronger after Brexit and appoint "catchment commissioners" to co-ordinate a joined-up approach in each area and reward action across the landscape, it said. WWT is also calling for ministers to establish guidance and accreditation for organisations providing "green prescriptions" which give access to nature to deliver affordable benefits to physical and mental health. Opposition parties have backed the call for the Government to keep its promise for a 25-year plan for the environment. They urged ministers to commit to consulting on a plan which sets out strong policies, with long term legally-binding targets to improve the environment, maintains protection after Brexit, and ensures international co-operation on the issue. In a joint statement, Lib Dem leader Tim Farron, shadow environment secretary Rachael Maskell and Green Party MP Caroline Lucas warned "our environment must not be a victim of short-term political unrest". WWT chief executive Martin Spray said: "We all end up paying for environmental damage through higher prices and taxes, as well as the social and health costs of Britain being a less healthy place to live. "Our recommendation is remarkably simple. Make the Government accountable to Parliament for the value of the environment as well as the economy. Transparency will drive improvement. He added: "This is a key early test for the new Prime Minister. "Will she deliver a manifesto commitment to value our environment? And in a post-Brexit Britain she has another question to answer: Will she commit to environmental protection improving on - or at least being equal to - that provided by the EU?" A Department for Environment, Food and Rural Affairs (Defra) spokeswoman said: "Developing a 25-year plan for the environment is a Conservative manifesto commitment and a priority for this department. "While the precise nature of the plan may change now the UK has decided to leave the EU, we will seize this opportunity to consider our long-term vision for the environment and work with a range of interests to determine and deliver it."